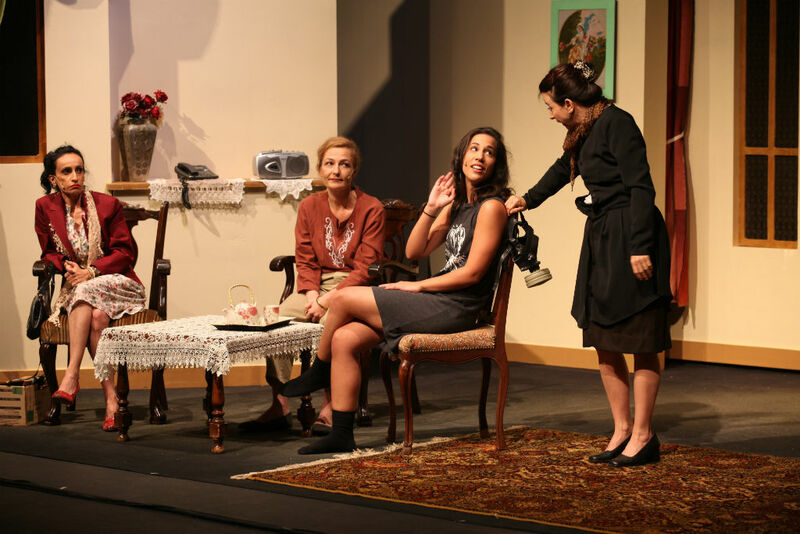 This delightful play tells the story of a Jewish family in Baghdad on the backdrop of the pogrom of June 1941 and the subsequent uprooting of the ancient Jewish community of Iraq in the years that followed. While it can be an eye opener for audiences not familiar with those events it certainly goes beyond being a mere history lesson. 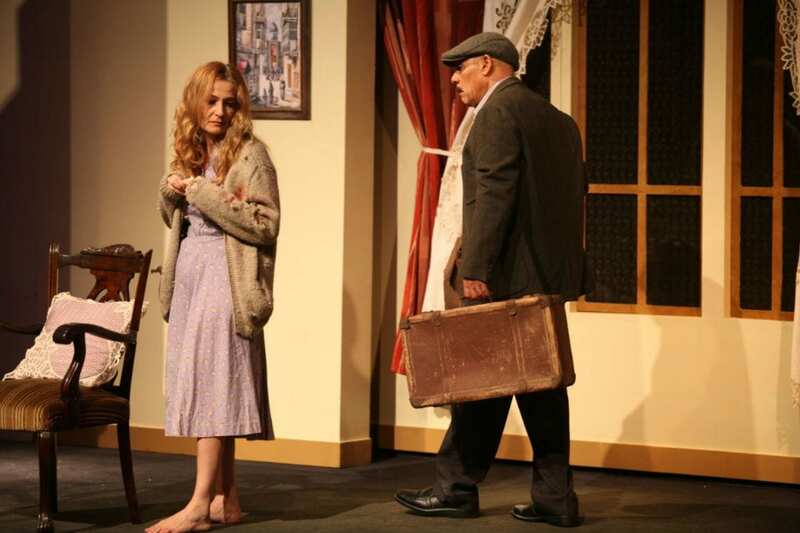 Playwright Gilit Itzhaki, who also stars in the play, succeeds in creating a touching drama that evokes universal themes of family relationships and inter-generational tensions in times of violent upheaval. She does this with sensitivity, empathy and humor. The opening scene takes place in Ramat Gan, Israel during the first Gulf War, as the three aging sisters of the recently deceased Eliyahu Sayag meet to discuss his will. Their terse conversation, peppered with unexplained references to past events that poisoned the relationship between two of the sisters, is repeatedly interrupted by the air-raid sirens of Saddam Hussein’s missile attacks. This absurd situation, and the memories it evokes, brings the play back in time to the 1940s and the Iraq that they left as young women. 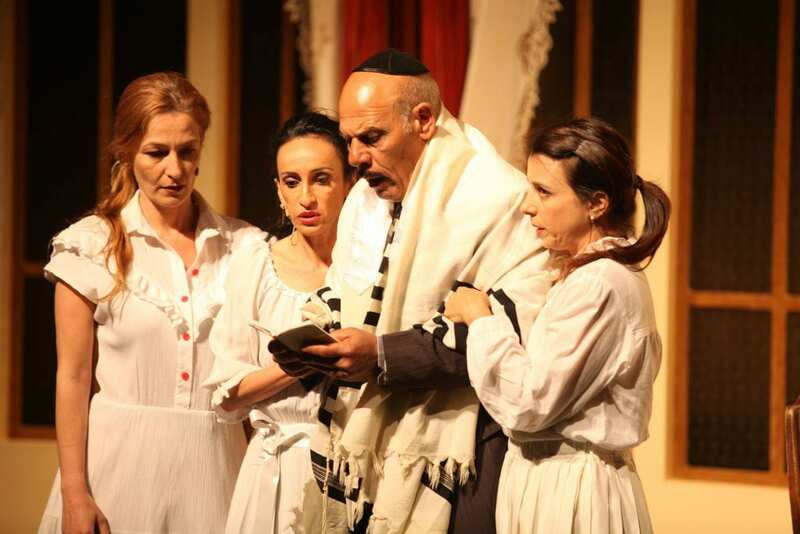 Then playwright Yitzchaki skillfully and gradually reveals the missing threads of the family story until the denouement which brings us back to the present. The transition from present to past and back again is done skillfully with the use of sound and scenery. While the set of the family flat is practically the same in both time periods, the windows in the background change style, with the Baghdad scenes revealing a silhouette panorama of the Baghdad skyline. The sound effects of the Muslim call to prayer and the noise of the approaching mob clearly put us in 1940s Iraq, while sound of scuds and sirens put us squarely in Israel of 1991. Subtle changes like the portrait of the father Eliyahu appearing on the wall in the Ramat Gan flat also help establish time and place without requiring a completely different set. I would say that the similarity between the two sets also helps to convey the sense that the feeling of home, whether in Iraq or Israel remained essentially the same, then and now. The three sisters are Juli, the older sister who takes on the burden of managing the home, Miriam, member of the secret Zionist underground, and young Mazal the spoiled “daddy’s girl” who is thrown unprepared into a life of upheaval and disappointment. They are dominated by their overbearing father, Eliahu Sayag, played powerfully by Uri Gabriel, who values family solidarity above all. The difficult decisions that he is forced to make bring unexpected results and give birth to the jealousies and resentments that will plague his family for decades to come. Casting the same actresses to play the three sisters both as young women and as older women was a bit of a gamble on the director’s part. But I think that it was accomplished convincingly, certainly for the older two sisters, thanks to their acting skills and costuming. Mazal, the youngest sister, was only 15 in the 1941 scenes, so that was a harder to believe, but in the context of the story it worked nonetheless. In the scenes taking place in 1991 another character joins the cast – the granddaughter Sigal, played masterfully by Noeat Kedem, representing the third generation who felt disconnected from their Iraqi Jewish roots, often because of the unwillingness of their parents to deal with the unpleasant aspects of their past. The theme of the three sisters and a dominant father is relatively common in fiction and theater. Fiddler on the Roof certainly comes to mind as an example. It also reminds me of the father and three daughters in The Cairo Trilogy by Egyptian Nobel winner Naguib Mahfouz. There too, the personal story of a family spanning three generations is told on the backdrop of historical events. This takes nothing away from the integrity of Itzhaki’s work. On the contrary, using this established format allows for comparisons that enrich our understanding of the story. In all these examples the dominance of the father is challenged by events he cannot control and his responses to crisis have fateful consequences. The comparison with Fiddler is actually enlightening in unexpected ways. For one thing, it underlines a revelation I had after reading several novels dealing with the Jews of Iraq – that their society was notably similar to Jewish society in Eastern Europe before the war. The tensions between traditional society and modernization, the pull of Jewish youth toward political activism in a wide range of political movements, the tensions between Jews and the surrounding society that was developing a new strain of national awareness that was increasingly hostile to Jews – all this was happening in Iraq, Poland, Hungary and elsewhere at around the same time. It is fascinating to see how Jewish families and communities reacted to the same challenges in such similar ways while living in such disparate countries. The universality of these issues explains how Eliyahu’s Daughters is easy to identify with, even for someone who is not personally connected to the place and time that it depicts. 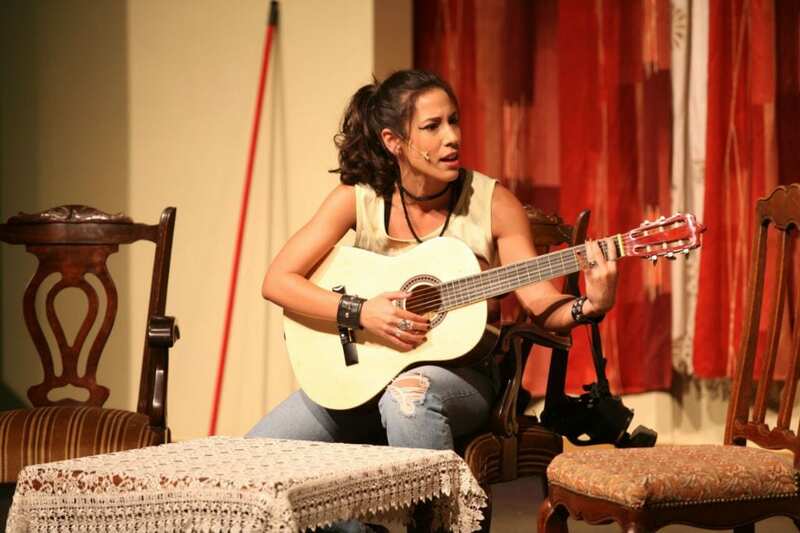 On the other hand, the audience at the performance that I saw was clearly familiar on a personal level with the background of this play, and that made the evening even more enjoyable. 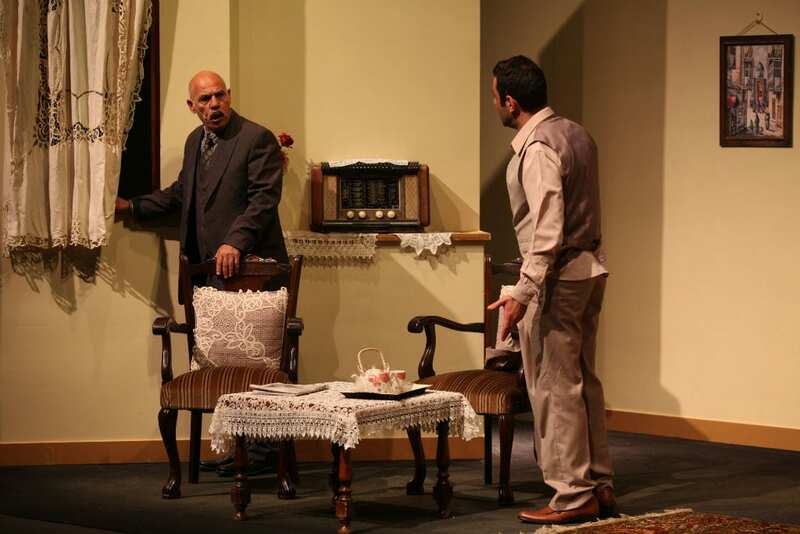 Every Iraqi exclamation or curse, every Arabic song that was heard brought comments, chuckles and appreciation from the lively audience who apparently included local people from the heavily Iraqi neighborhoods of Ramat Gan. It reminded me of the nostalgic reactions one used to see in Yiddish theaters. The familiarity and warmth of the appreciative audience enhanced the theater experience for me, and I believe it enhanced the performances of the cast members as well. To add spice to the overall event, after the closing curtain, as the audience moved through the lobby toward the exits, the actors joined the crowd and schmoozed a bit with happy audience members, taking pictures and sharing stories. It was clear that many people in the room felt a warm satisfaction that their story was finally being told on the stage.